Below are the resources we use and recommend to support your documentary film endeavors. Come back anytime you need support as we will continue to update this resources page with advantageous services and products that will help you along your filmmaking journey. Note: The TDL team have curated this list of resources to help support and assist you through the filmmaking process. These are resources we have either created or use ourselves. Some of the links are affiliate links, and at no additional cost to you, we will earn a commission if you decide to make a purchase or use a service. However, we would never promote any product or service we did not believe in 100%. You have our word on that. A comprehensive manual that has inspired over 100,000 readers worldwide. Everything you need technically and conceptually is here. Filled with practical advice on every stage of production, this is the book you will return to throughout your career. 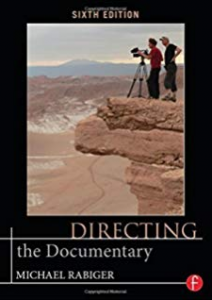 This is one of our absolute favorite, must have documentary filmmaking books. 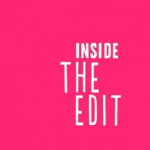 Listen to podcast episode #60, with Directing the Documentary author, Michael Rabiger. 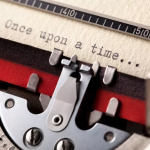 In the Blink of an Eye, is world renowned film editor Walter Murch’s essay on film editing. 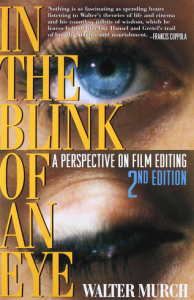 It discusses the esthetics and practical concerns of cutting a film and insights on continuity and discontinuity in editing and much more. 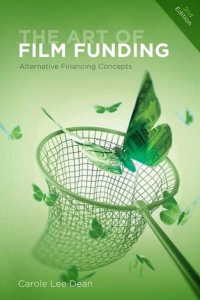 A true film funding bible, this book is perfect for documentary filmmakers looking for funding via grants, individual investments/donations, crowdfunding, and distribution through streaming video. It is a comprehensive book covering both established financing and new online financing. A must read for any doc filmmaker! Listen to podcast episode #69, with The Art of Film Funding author, Carole Lee Dean. Morrie is the guru of documentary film funding. His foundations-based approach involves getting clear on your mission statement, your core values, and your vision statement as the keys to your film funding success. 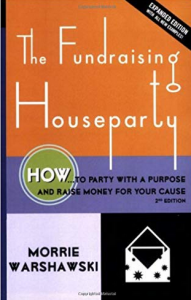 This book completely demystifies the art of fundraising for independent film and video projects for students, emerging, and seasoned media makers. Listen to podcast episode #15 with author and film funding consultant, Morrie Warshawski. 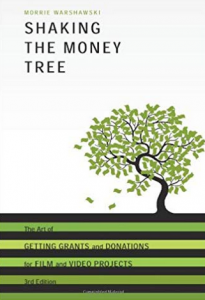 This book completely demystifies this useful and flexible method of garnering donations from individuals for a wide variety of nonprofit programs – from community education programs to capital campaigns to individual arts project – and with every type of donor in both grassroots and wealthy settings. Morrie will be back on the podcast early in season 2 to discuss this fundraising option in more detail, so stay tuned! 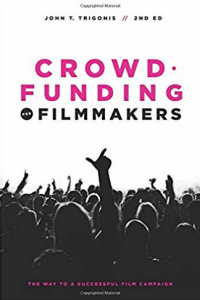 Crowdfunding for Filmmakers offers practical information, tips, and tactics for launching a successful film campaign by detailing traditional models of fundraising, utilizing today’s technological and social innovations, and augmenting each step with an added personal touch. We utilized this book extensively when we ran our successful Kickstarter campaign for our film, Elvis of Cambodia. The Documentary Academy is our online, self-paced course which takes you from the idea phase to the distribution phase of your documentary film. Focusing on the strategy, funding and business aspects of documentary filmmaking, rather than the creative, The Documentary Academy is a must-have for any filmmaking wishing to make money for, and with, their documentary film. On podcast episode #33 of the podcast we had the pleasure of talking with Academy Award-nominated documentary filmmaker & scriptwriter, Daniel Raim. Daniel has taken his vast documentary storytelling experiences and built a thorough step-by-step workflow to structure complex real life stories into compelling documentary films. Gordon P. Firemark is an entertainment lawyer who was a guest on podcast episode #39, where he discussed many of the legal aspects of documentary filmmaking. 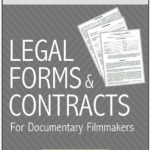 The Documentary Legal Forms and Contracts Multi-Pack is Gordon's two-pack set of legal forms and contracts that covers both production and post-production for your documentary film. If you intend to receive any financial support or funding from donations to your film then you will need to sign up for a online payment system, such as Stripe or Paypal. Both of these being the most reliable and recognized payment systems in the world and having used them ourselves we highly recommend them. 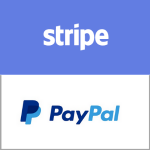 Sign up for your Stripe or your Paypal account and start receiving donations for your film today! Building an email list of an interested and engaged potential audience for your documentary film is an essential task of the documentary filmmaker today. 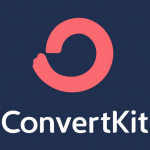 We have tried several email service providers - both paid and unpaid - and have found ConvertKit to be the most user friendly, reasonably priced and efficient of those services. We recommend you take a look for yourselves. Your film website is the online hub of your film and is a must-have for every filmmaker to build and maintain. If, like us, your website building skills are rudimentary then you may wish to opt for a drag-and-drop site builder such as Wix. We have used Wix ourselves and certainly recommend them for ease of use, ease of branding and personalization at a reasonable price point. Take a look and see if they're a great fit for you. Connecting with our fans, supporters and potential audience throughout the making of our documentary films should be an important, even integral, part of our outreach strategy. Using a social media management tool, such as Buffer, can help. We have used buffer for several years and found that the usability and price suit our needs. Check them out. 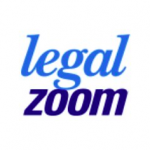 Whether you're looking for assistance with a legal matter that arisen during the making of your film or are simply wishing to set up a business entity (such as LLC) for your production company or film, Legalzoom can help. Through its programs, the IDA provides resources, creates community, and defends rights and freedoms for documentary artists, activists, and journalists. They are a tremendous resource to all documentary filmmakers, visit their site and take a look at what they have to offer. Doc Society (formerly BritDoc) is a non-profit that has been working directly with documentary filmmakers since its inception in 2005, to make the most impact in the world with their art. Whether with their flagship program, Good Pitch, their Impact Award, the Impact Field Guide, or the number of grants that they offer, Doc Society has truly become a critical part of the doc community over the past decade. A national nonprofit media arts organization, American Documentary (AmDoc) strives to make essential documentaries accessible as a catalyst for public discourse. They collaborate with passionate filmmakers to amplify their voices, and to nurture the nonfiction community.